The Home Improvement Consumer Protection Act ("HICPA") was adopted by Pennsylvania's General Assembly in October, 2008, and signed by the Governor as Act 132 of 2008. The law establishes a mandatory registration program for contractors who offer or perform home improvements in Pennsylvania. The statute also establishes minimum insurance requirements for contractors; requires contractors to provide their registration number in their ads and contracts; establishes required contract terms for home improvement contracts; prohibits unfair business practices; and creates a criminal penalty for home improvement fraud. For more information on the Home Improvement Consumer Protection Act, please visit the Attorney General's website. Founded in 1827, The Pennsylvania Horticultural Society (PHS) is recognized as a national leader in its use of horticulture as a means to build community, improve the quality of life, and enable people from all walks of life to understand and appreciate the natural environment and their relationship to it. Whether it be presenting the world's largest indoor flower show, offering educational programs and services to its 14,000 members or helping urban neighborhoods create verdant green spaces through the Philadelphia Green program, PHS is distinct in its ability to use horticulture as a means to bring people together. To learn more about the Pennsylvania Horticultural Society, please visit their website. Preservation Tree is dedicated to providing progressive and sustainable solutions to tree and land management issues. Their team of certified arborists, led by Mike Dunn, are highly skilled in the art and science of tree care. 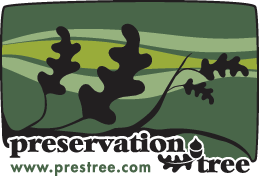 To learn more about the Preservation Tree, please visit their website. Thomas Horgan Carpenter & Builder was established in 1951 by Tom Horgan Sr. located in Garrett Hill, Rosemont, PA. He has worked on the main line with his son Tom Horgan Jr. who now owns and runs the business. They have been involved in custom homes, kitchens, bathrooms, doors & windows and large home renovations for two generations. To learn more about Thomas Horgan Carpenter & Builder, please visit their website.